Place potatoes in a large saucepan and cover with cold water. Bring to the boil over high heat and boil, uncovered, for 10 minutes or until tender. Drain and set aside to cool for 15 minutes. Cut into halves. Add the capers, shallot, baby gherkins and dill to potatoes and gently toss to combine. 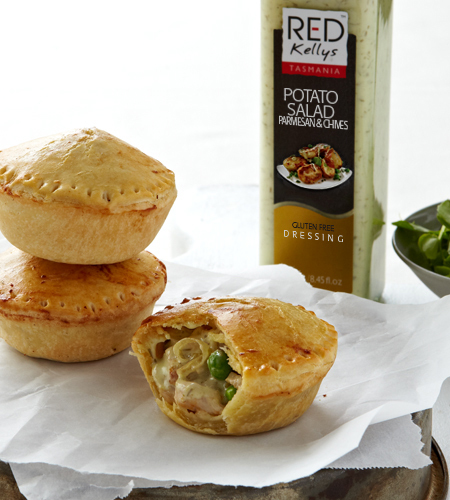 Combine Red Kellys Romano & Chive Dressing, lemon juice and garlic in a bowl. Season with salt and pepper and stir. Add the dressing to potato mixture and toss to combine. 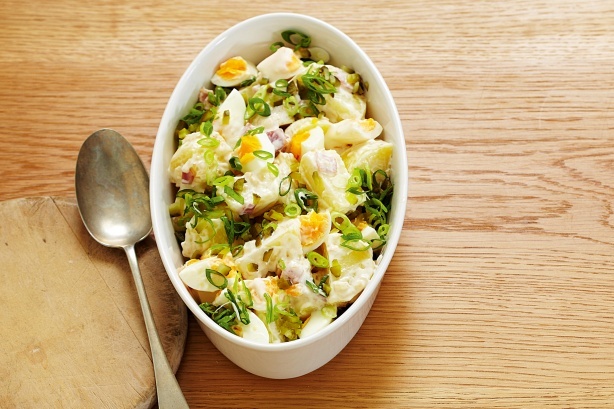 Top with egg and serve. Enjoy!